WordPress is fun to work with, but maintaining a high traffic, and an old blog requires a lot more than you can think of. There are many things which we need to do after regular interval like deleting post revisions, deleting trash, deleting comments meta for Akismet and many more task to make sure our WordPress database stays clean. Here is a tip for people who are running an old WordPress blog, and have installed and uninstalled countless WordPress plugin over years. When you uninstall a plugin by deactivating and deleting it, it doesn’t delete all the options table created by plugins. This results in many orphan options created by this plugin. Such options table are not only useless, but it also increases database size with time. Here I’m sharing two WordPress plugins, which let you delete options which are left over after a WordPress plugin un-installation. Do remember; this step is for advance users only. If you are working on WordPress for years and love to play with the database, you will have no issues. To stay on the safer side, make sure you take a complete backup of your WordPress blog database. This will ensure if something goes wrong, you can always restore your database from the backup file. Once you install and activate Advance DB cleaner, you can go to Settings > Options optimize, and select which orphan table you want to delete. 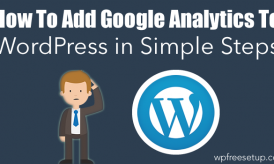 This plugin offers many more features which is beneficial for our WordPress blog optimization. I usually use this plugin once every month to remove all orphan tables, find & remove orphan schedule task & optimize database. If you are looking for a free alternative, here is one option. Clean options are one of the oldest plugins I have used to delete orphan option table created by the plugin. Once you have activated and installed the plugin, click on Tools > clean option, and here click on find orphan file: Now select all those options which are created by plugins you have uninstalled, if you are unsure about any options, leave it as it is. Once you have selected all the options, you want to delete, click on “vie selected options information”, and on the next page it will show you all the data associated with selected options, confirm and this plugin will delete all useless options. Again, as I mentioned above, use both of these plugins with caution, and you are sure about what you are doing. 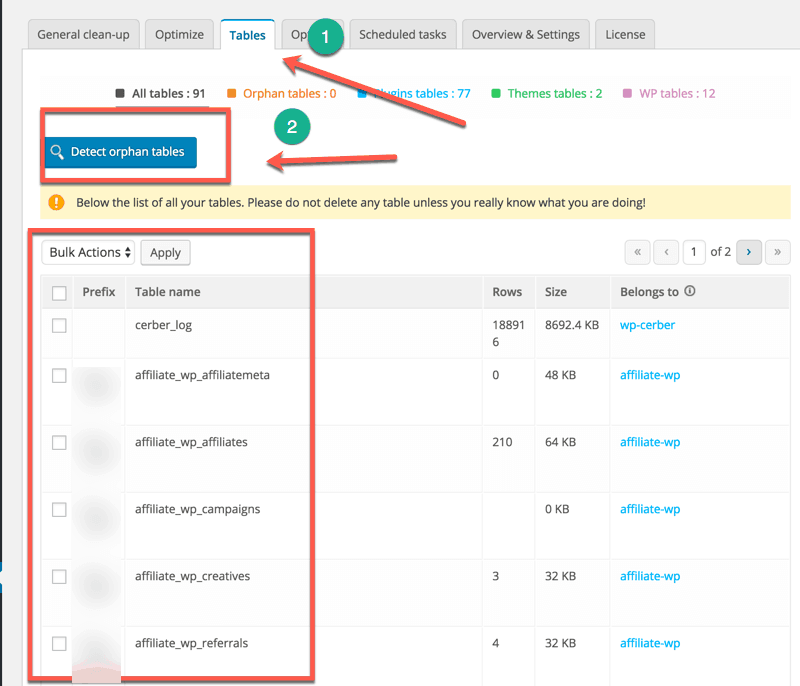 If you are running an old WordPress blog, you could use this option once in 4-5 months, to get rid of all redundant WordPress plugin options. If you use any other plugin, do let me know via comments. Thanks for this great post Harsh. 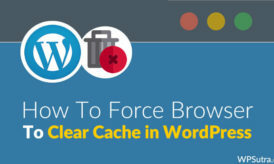 Will it delete the conflicting caused due to uninstalling of WP Cache ? Care should be taken while using any of the plugins mentioned above. Settings for your existing plugins will also be wiped out if you use “select all” option. So its strongly recommended to backup your WordPress blog, before actually trying them. Thanks for sharing. It is always a good idea to back up your database before using any of these two plugins. Currently I am using options optimizer for this purpose. Apart from that I use WP-Optimize for optimizing database, it helps too! Very useful post. Another plugin i’ve always used and it works perfectly is Wp-optimize, it also allows you to schedule database cleaning.